As part of the capacity building in the Vocational training center for undergraduate university students and teachers in Jordan (VTC project), Dr. Ziad Abuelrub (VTC Project coordinator at the German Jordan university) Eng. Eng. Eslam AlQasem and Eng. 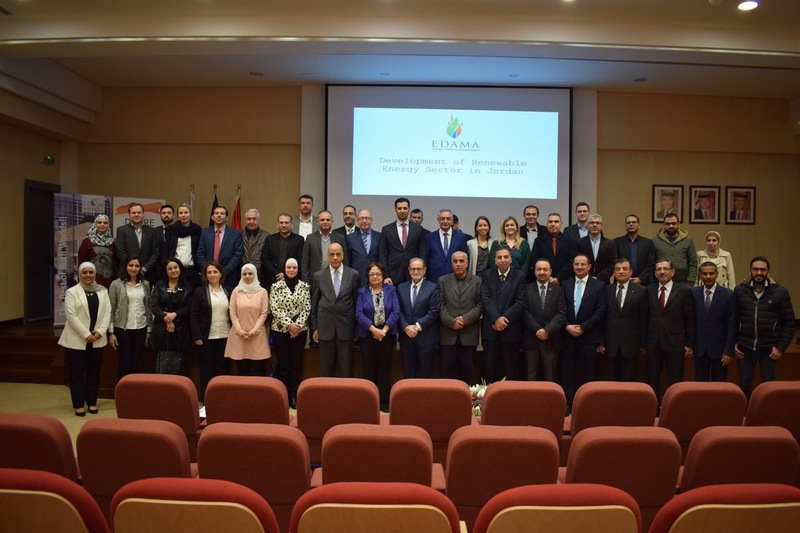 Fahid Rumaneh participated in the closing conference of DESIRE Project at GJU on March 13, 2019 to present the VTC project and the different services offered by the VTC center. The DESIRE project is a capacity building project funded by the European Commission under the frame of #Erasmus+. The main objective of the project is to provide a high quality education for MENA students in the key aspects of Renewable Energy and Energy Efficiency (REEE) technology with the emphasis on the socio-economic aspects of these technologies. It worth to mention that The VTC project is a three years’ project funded by the European Union through an Erasmus+ Project. The VTC lab has a complementary role for other entities at GJU in providing the GJU students with co-curricular skills and courses that are required by the job market. Further, the VTC lab has been established at each Jordanian partner university where it is located at GJU in building M hall 327.